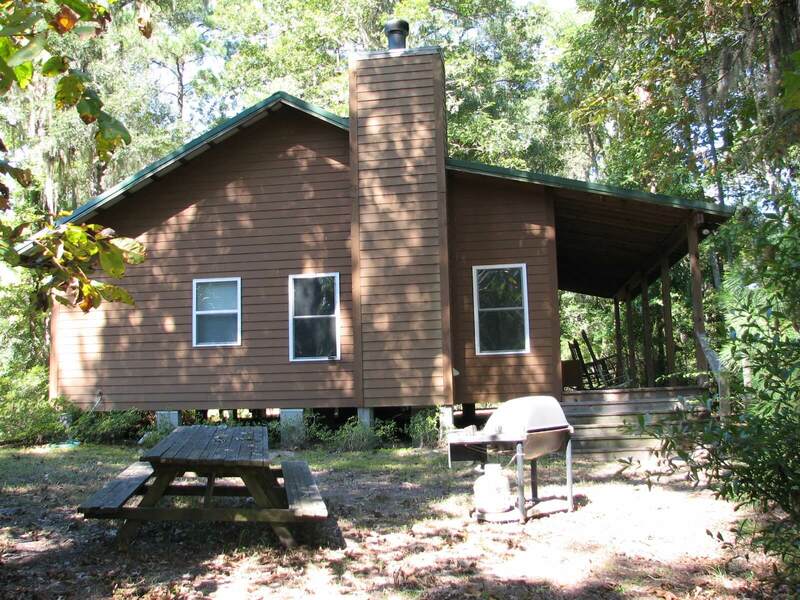 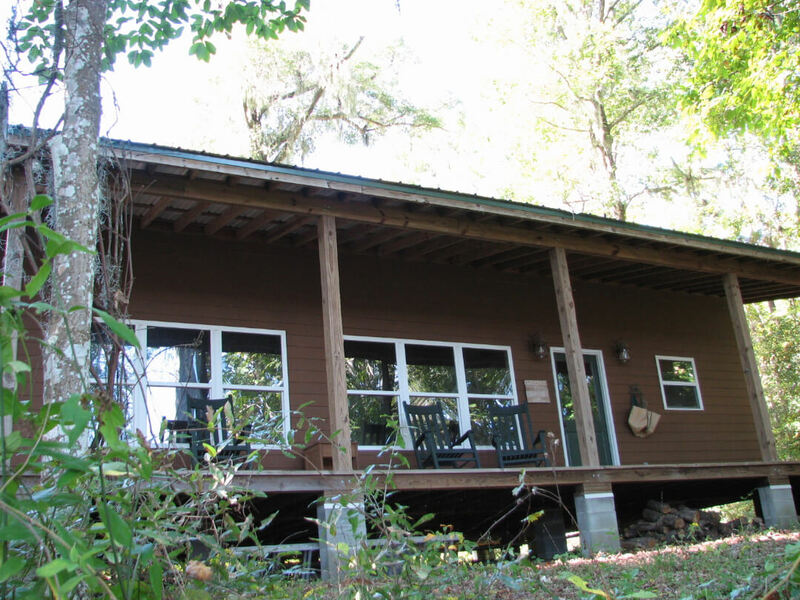 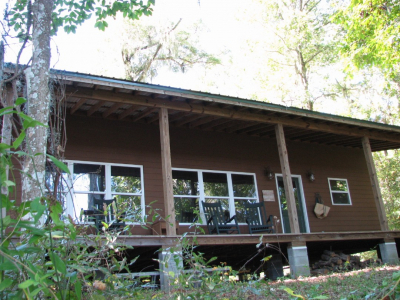 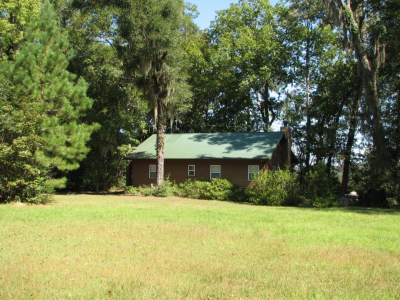 Perfect solitude offered on this Altamaha River haven in northern Wayne County just minutes from Cherokee Lake and 15 miles north of the county seat Jesup, GA. Savannah Ga is just over an hour northeast and Jacksonville FL. less than two hours southeast. 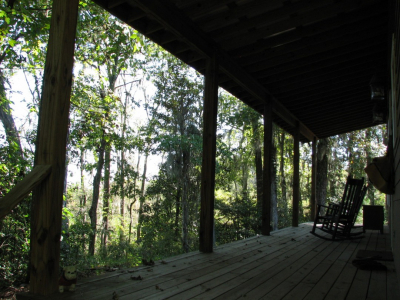 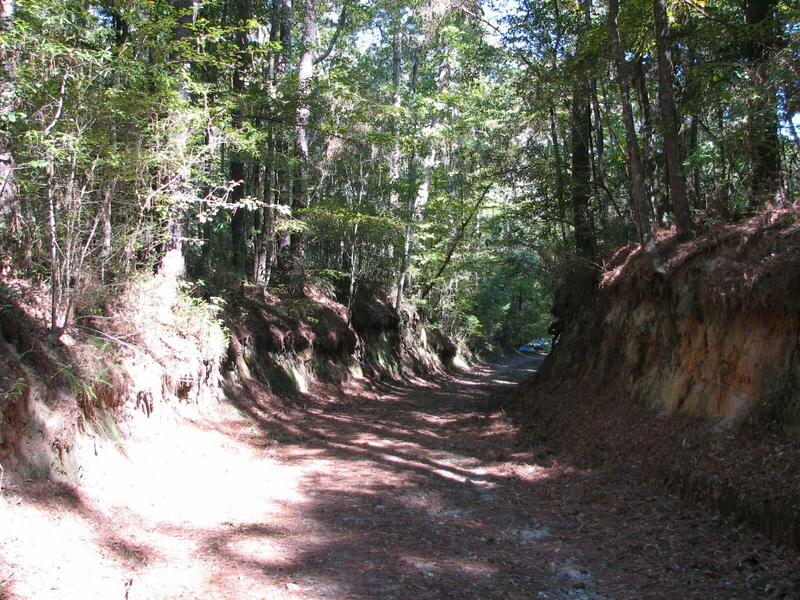 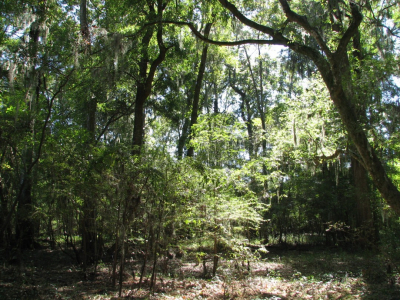 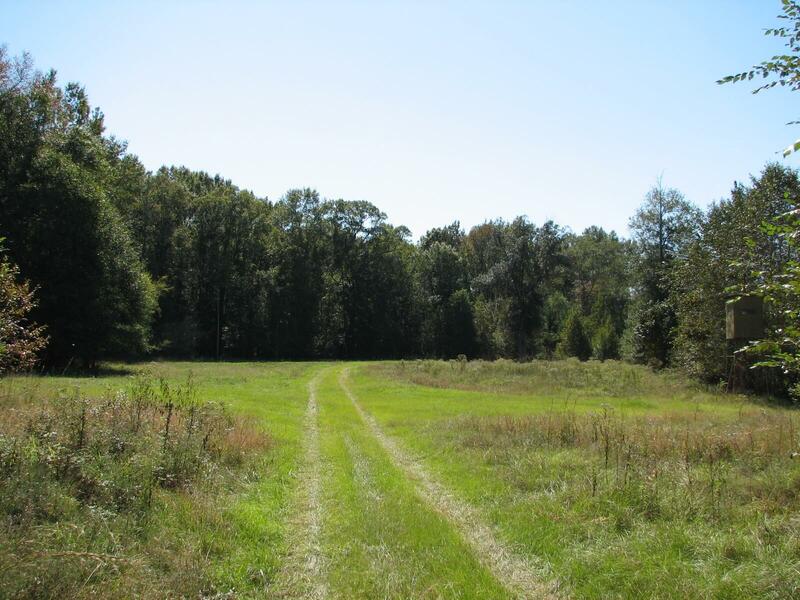 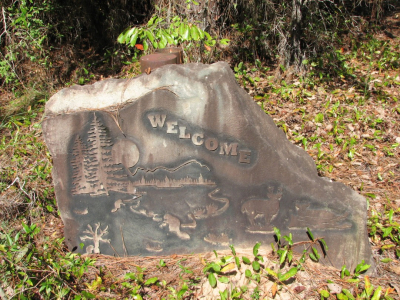 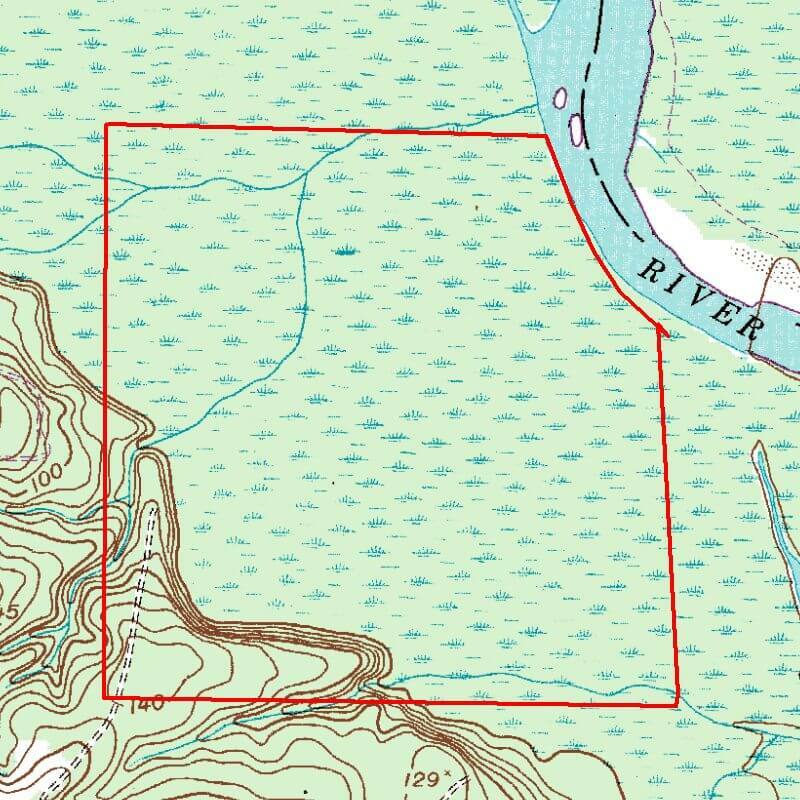 Enter the property on a 40 ft. wide all-weather easement from Old River Road to the property. 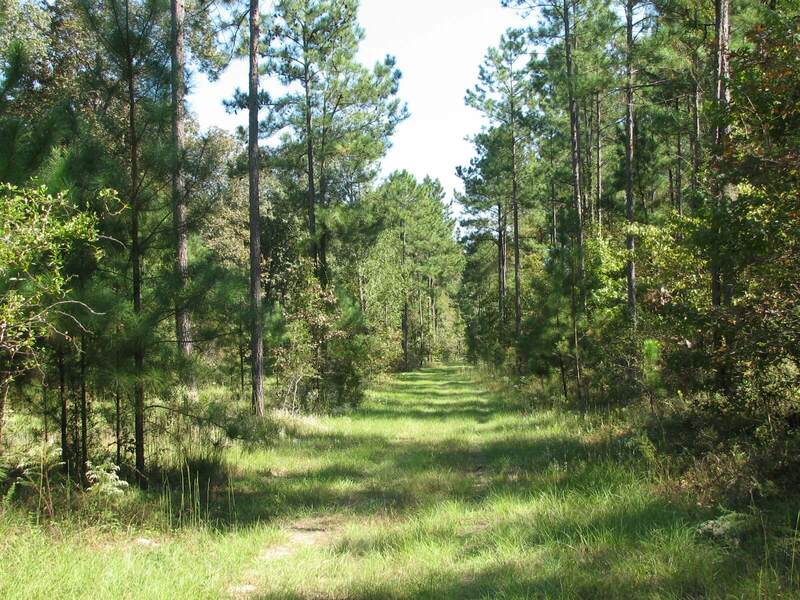 Once inside the front gate the road traverses the upland as it heads toward the lodge. 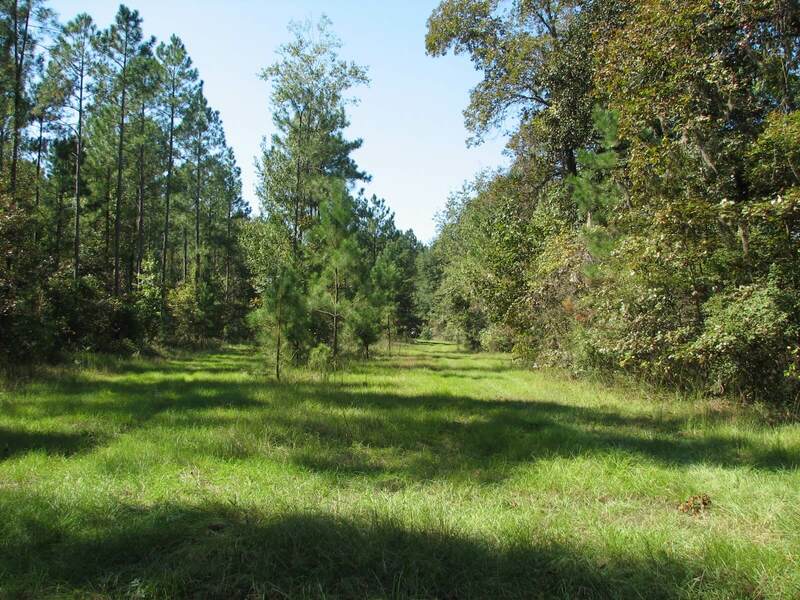 The rolling upland area, approximately (50 acres) is predominately merchantable planted pine timberland. 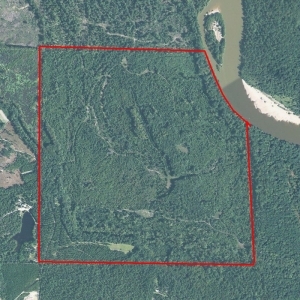 Mature hardwood covered bluff running along the edge of this upland has elevation transition ranging from 50-100 plus feet above the bottomland and provides nice vistas of the bottomland portion of the property. A large food plot with tower stand accents the upland area. The bottomland area is covered with access roads, numerous food plots with tower stands in place, heavily wooded sloughs and area along the river. 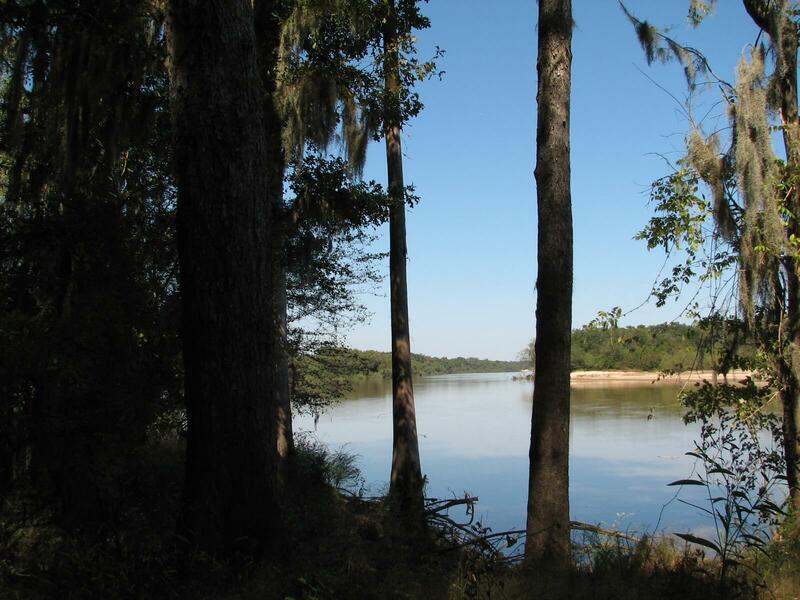 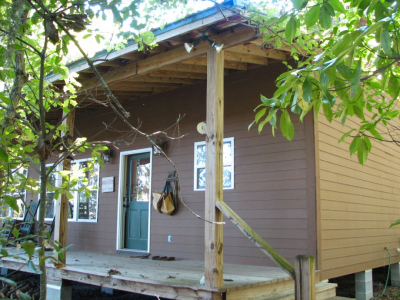 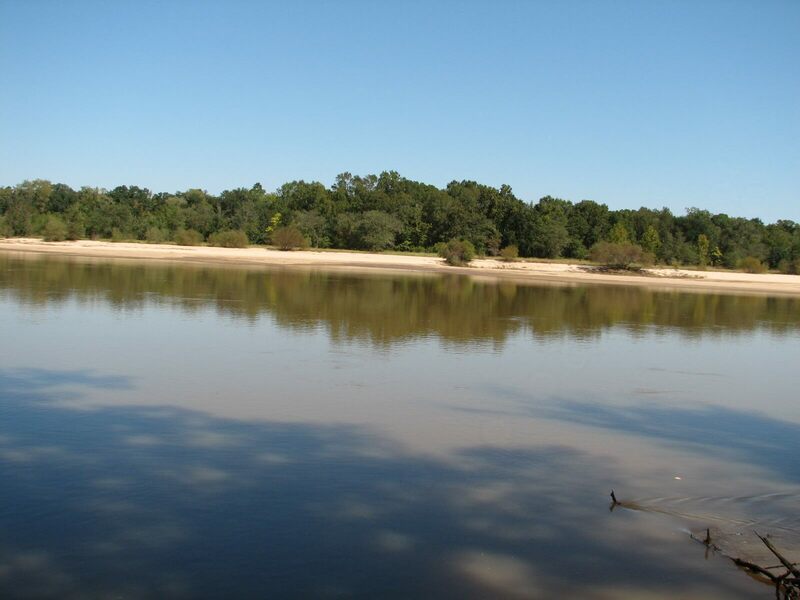 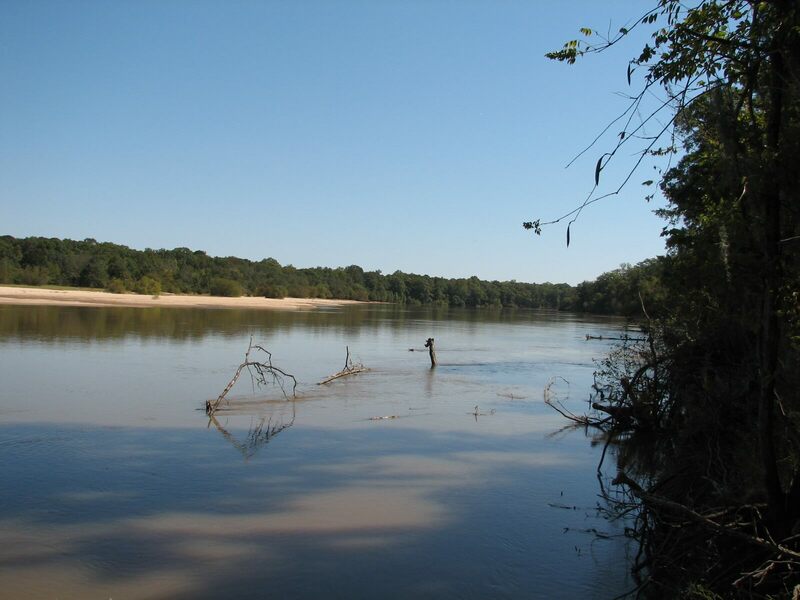 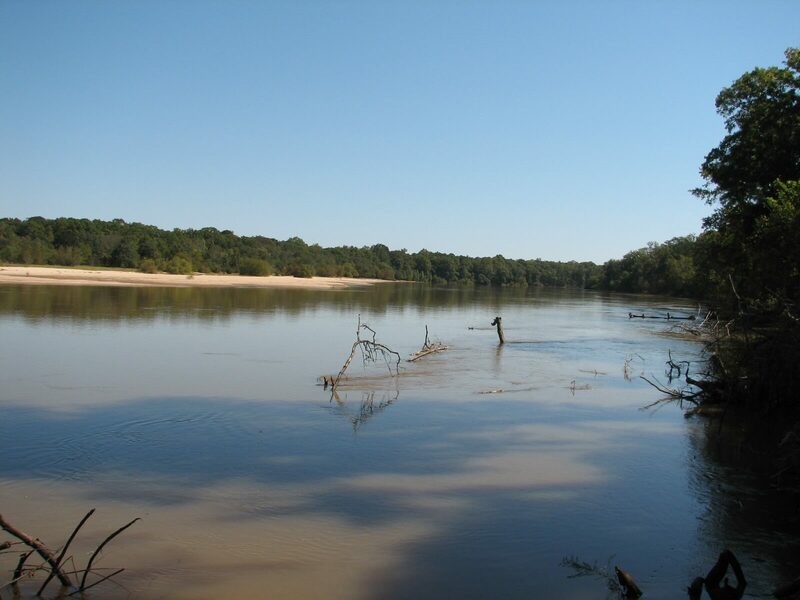 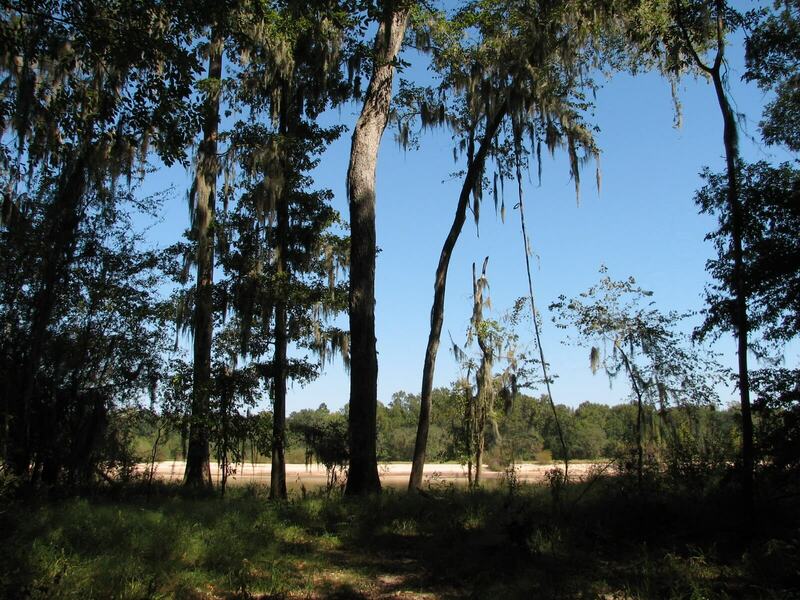 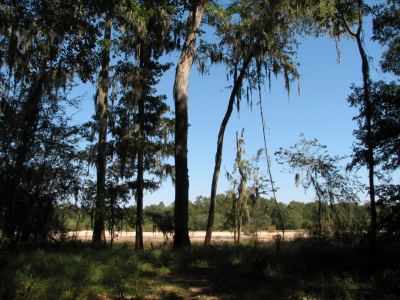 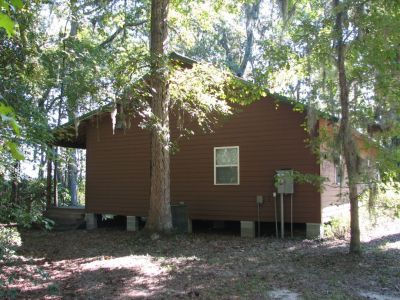 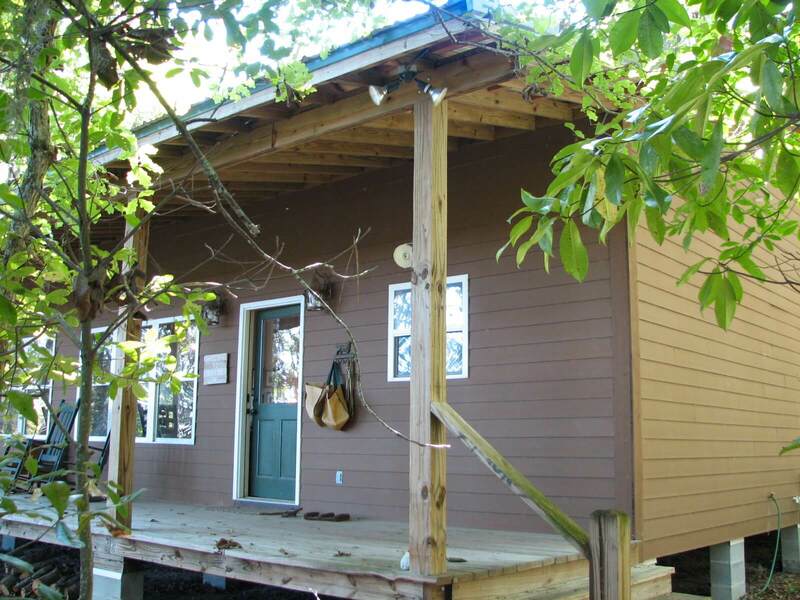 The property fronts along the mighty Altamaha River for almost 2000 ft.
• Newly constructed 1200 sq. 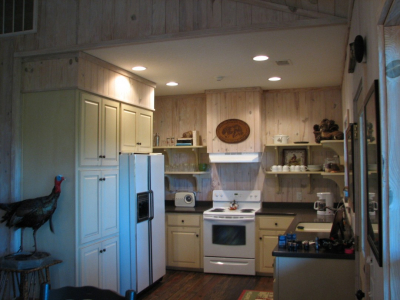 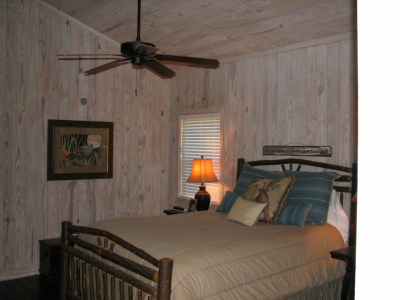 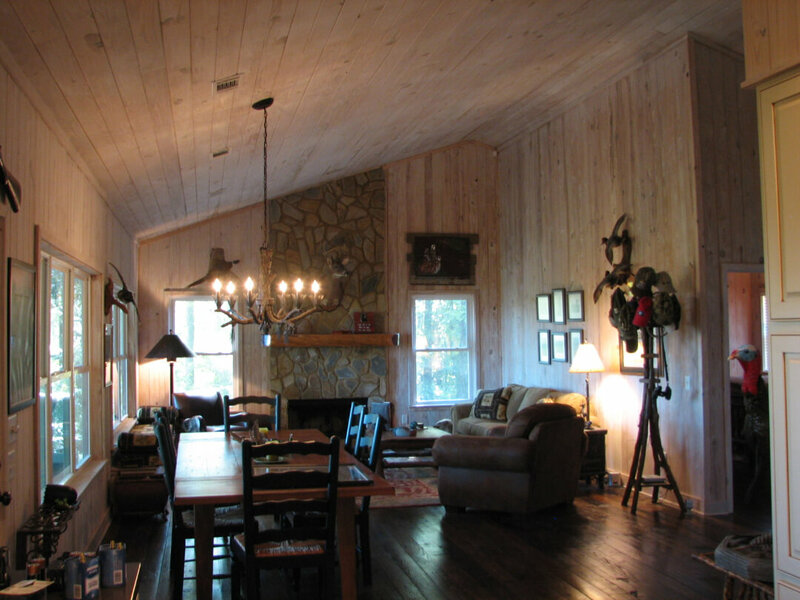 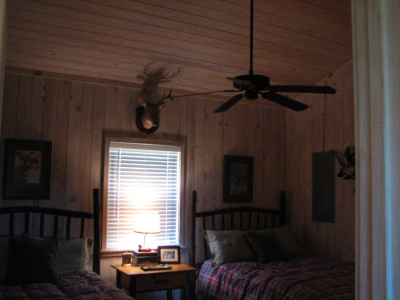 ft. heated frame construction lodge with Hardy Board siding, metal roofing and large front porch. 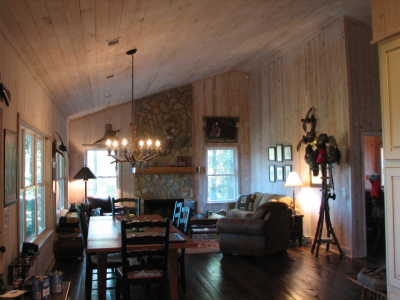 • Large gathering area with fireplace and vaulted ceilings. 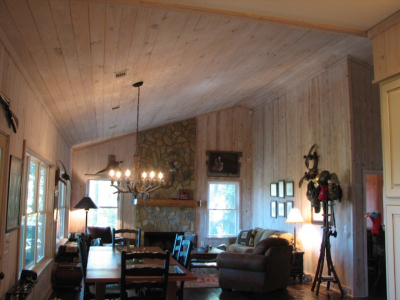 • Antique white-washed wood walls inside. • Fully furnished and ready for immediate enjoyment. • Large frame construction equipment shelter. 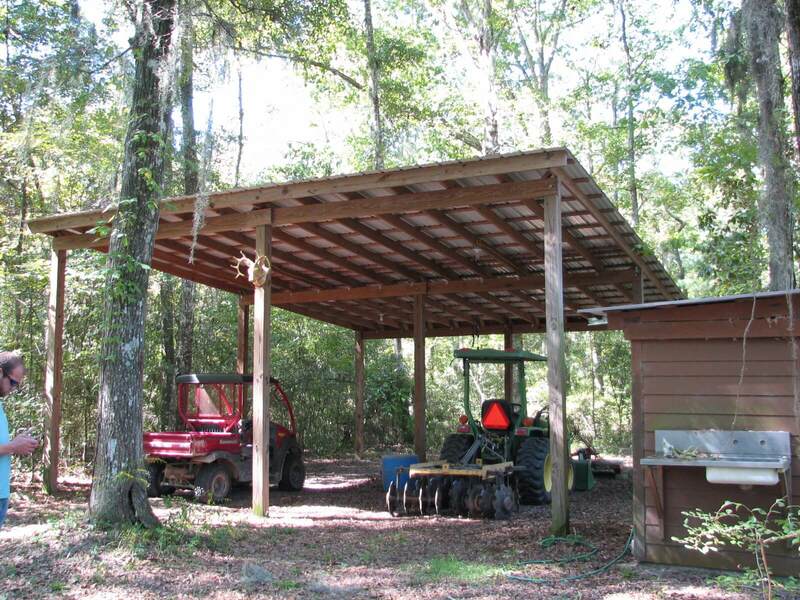 • Kawasaki Mule and 4-wheel drive John Deere tractor with loader, mower, harrow and box blade. 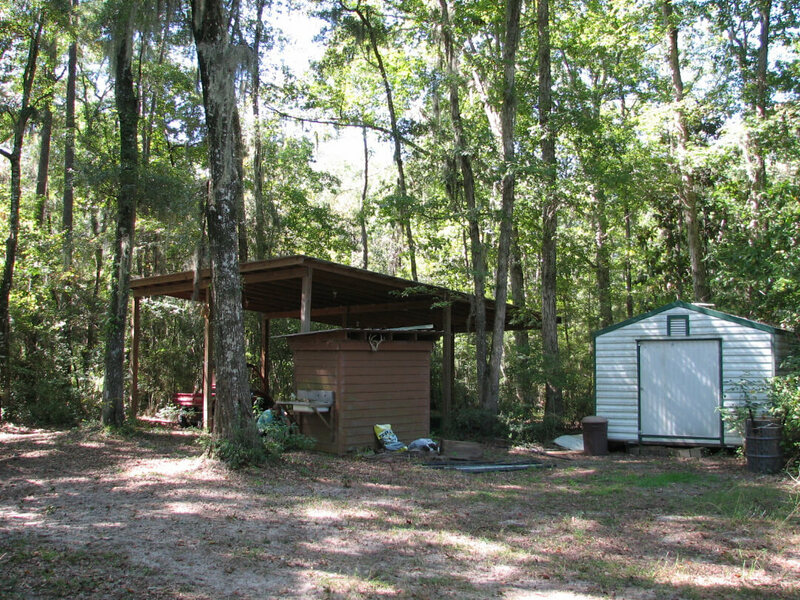 • Small metal storage building adjacent to well and shelter. Loaded with all the toys and treats, the property is ready for immediate enjoyment. 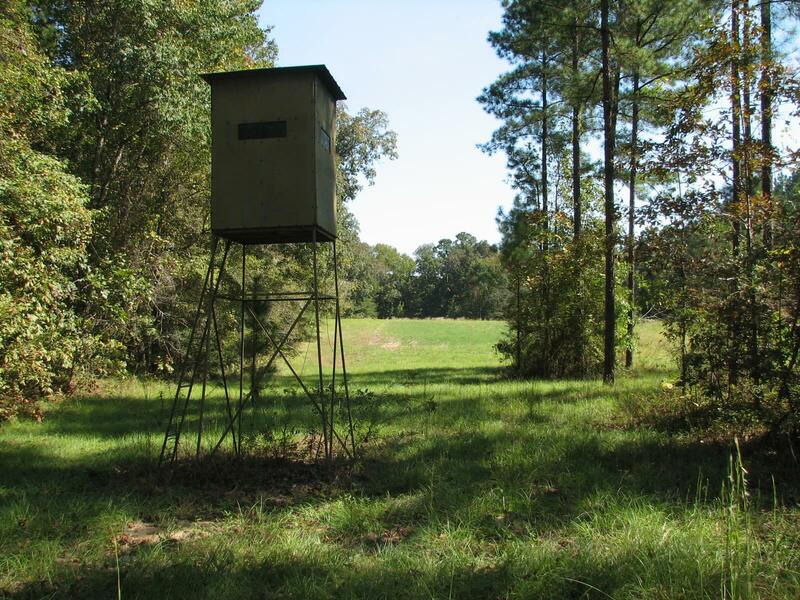 The property’s diversity provides great hunting for deer, turkey, wild hogs and ducks in the small pond, sloughs and river. 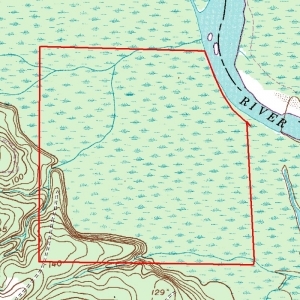 The miles of interior road system through the bottomland provides excellent opportunity for “stalking” for the impatient hunter wanting to go to the game, rather than waiting for it come to him. 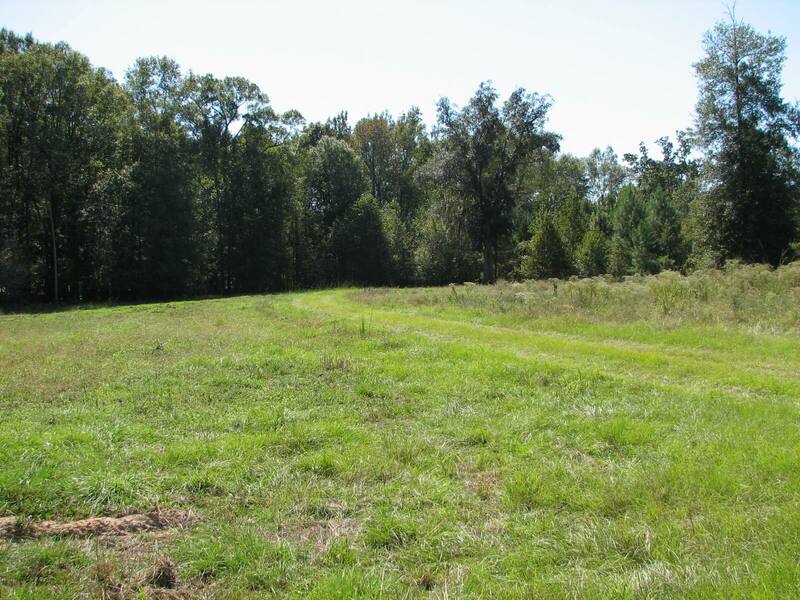 $695,000.00 ($1475/acre) Seller may consider financing.